Remains of building dated to 12th -13th centuries were found in Selbir, in the territory of ancient Gabala city during the archeological excavations of Ancient and Early Medieval archaeological expedition of Institute of Archeology and Ethnography of ANAS. Archaeologists have discovered the remains of a large residential building and the auxiliary building belonging to the upper cultural layers. The remains of the building are remarkable for their size and architectural structure. The broad foundation of the building made of cobblestones and the walls with backed bricks were investigated. At present, excavations in a large room, corridor and door of the building are being continued. At the end of the 13th century, the building was completely abandoned and exposed to mass destruction over the time. The head of the expedition, Jeyhun Eminli told Sputnik that archeological researches are conducted on the south-western side of the area called Selbir, in the ancient city of Gabala. “The main purpose of the investigation here is to determine the time when the city is abandoned, and collapsed. During the archaeological excavations, residues of large residential buildings were discovered here. The foundation of the big buildings is made of cobblestones and bricks in inclined direction,” he said. 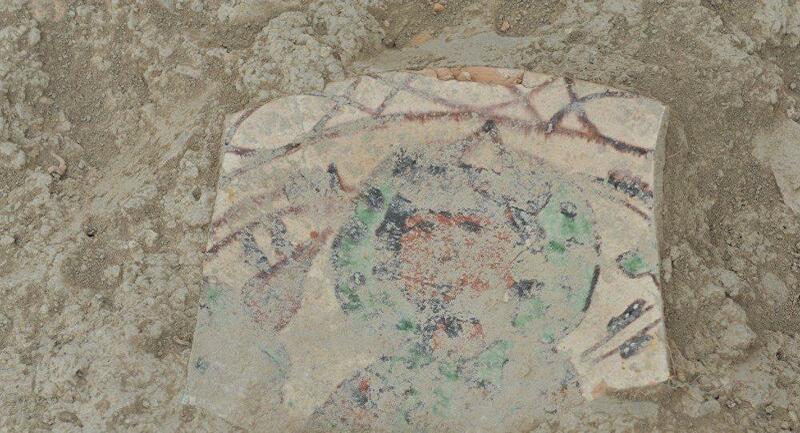 Archaeologists have discovered fragments of various decorative pottery and glass containers, beads, buttons, and copper decorative items in the remains of the building during the archeological excavations. After the completion of the investigations, initial conservation will be carried out in order to preserve the monument for later. Eminli also mentioned that cameral investigations will be continued on the discovered materials. After the completion of the cleaning, recovery, graphic photography, and photo documentation of the found materials, more important findings will be exhibited at the exhibition hall of the Gabala Archaeological Center. Also, findings will be presented to the public at the Gabala Regional Historical Museum and other museums. The head of the expedition concluded that anthropological studies are planned on human skeletons found during archaeological excavations.